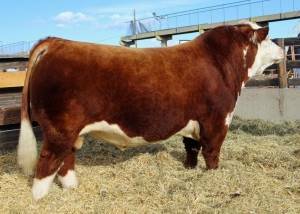 Doc Holiday is 16% Chi and 83+% Hereford. Tested TH & PHA Free. 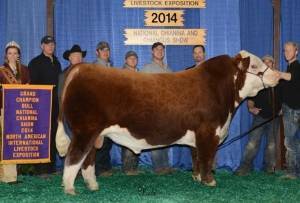 Doc Holiday is polled and was the 2014 National Show Grand Champion Bull at Louisville. He is extremely sound with a great profile and build. 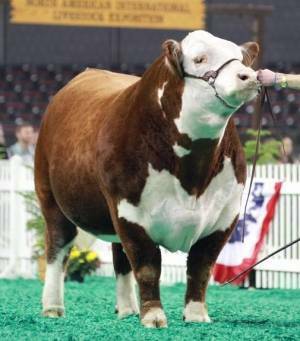 His dam is a good one originating from Talmo Ranch. 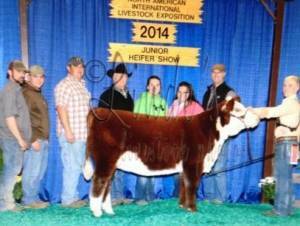 Doc Holiday daughter out of a Hereford heifer.